Most customers agree, going through a hosting check-out process is possibly one of the most boring things in life. Luckily, there is a way to make that process as quick and painless as possible, and help you close more sales. DomainsBot's name suggestion has helped millions of customers find a great domain for their projects. Customers that then also often bought hosting, email, SSL and more. It has never been easier for all WHMCS hosters to leverage the most advanced name spinner on the market to grow their business. Unlike many of the “free” solutions out there that simply mix the same keywords and hope for the best, the DomainsBot name suggestion is built to maximize conversions. Our semantic engine understands the intention of the user's query and then uses advanced statistical models to surface the right TLDs and keywords combination and compile a list of the suggestions that are most likely to sell. Every suggestion is then checked to help the system learn and improve over time, and to provide our Partners with precious data on the effectiveness of their sales flow and their competitive landscape. 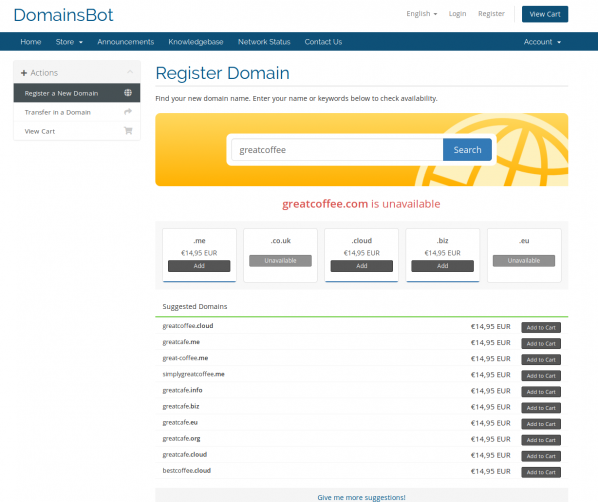 DomainsBot's is also the most effective solution to help you sell more ccTLDs, providing more accurate suggestions for available domains in what for most Hosters are the top-selling extensions. 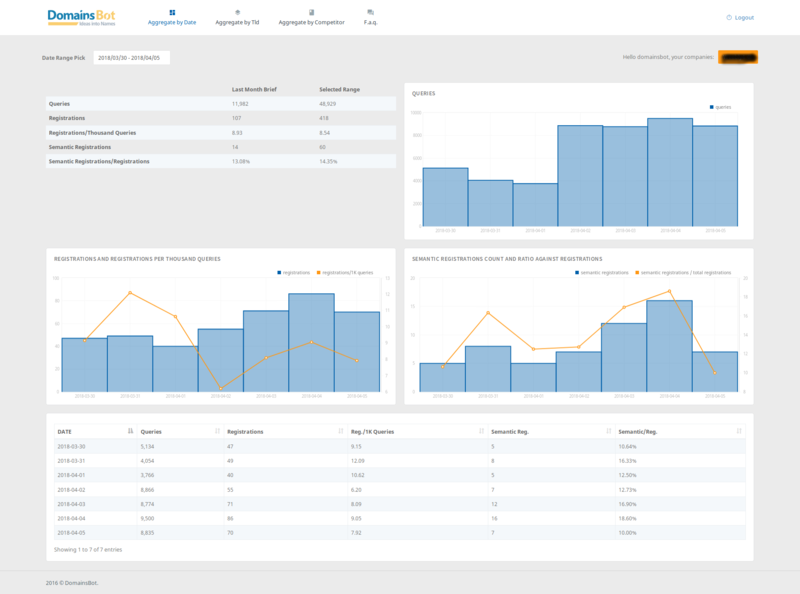 The only GDPR-compliant name spinner on the market, with a clear Data Protection Policy that ensures that your customers’ data is safe and that you can run your business without worrying about potential leaks. Smart hosters know that a good name suggestion tool is so much more than just name suggestions. That's why DomainsBot is the solution of choice for some of the largest, most successful Registrars and Hosters in the world. Get in touch to start your free trial and see the difference today. (*): In order to return results quickly, we check our suggestions against zone files and other lists of known registered domains. 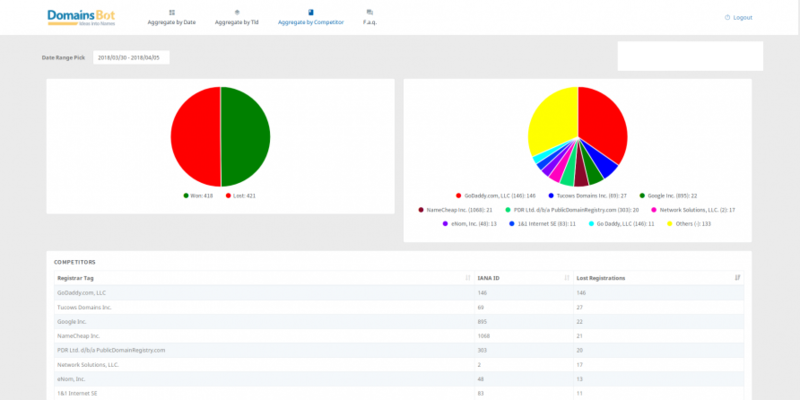 Statistically, this approach means that the domains we suggest are available over 98% of the times. we strongly recommend performing a final live check against the respective Registry before adding the domain to the cart. Be the first to review DomainsBot Domain Suggestion & Analytics.